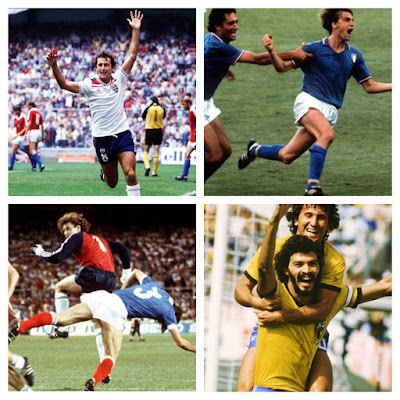 The World Cup is football's premier international tournament, it provides us with quality, shocks and some of the greatest players and teams to have graced the game. Today, two nations almost always qualify for the main draw - England and the United States. Despite the "Special Friendship" both nations now adorn, history tells us of many battles between the countries, be it The American War of Independence, the War of 1812 or the 1950 World Cup. To fully understand the amazing story of the United States in 1950 is to look into just where, in footballing standards they were in the mid twentieth-century. The answer? Way off. The US team for a start was made up of part-time players, hastily assembled by Scottish manager William Jeffrey. 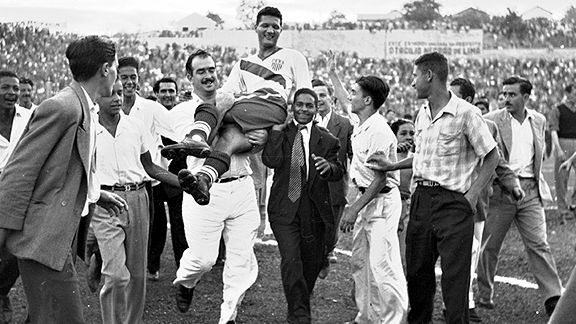 The 1950 World Cup, held in Brazil, was the first major tournament following the Second World War, and despite America emerging as the main global superpower after the conflict, their soccer team was in no place to match their countries wider aspirations. The group-stage draw pitted them against England, the "masters of football", who despite being regarded by many as the world's finest team was playing in their first World Cup. England had long been regarded as the country to beat prior to the World Cup and although never featuring in any of the three previous tournaments where still believed to be the superior footballing nation. 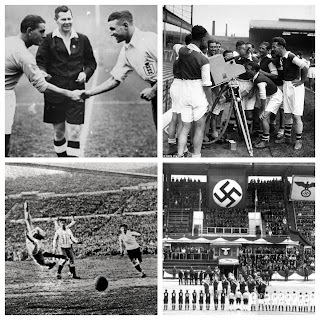 The 1934 "Battle of Highbury" was highlighted by many journalists as the real World Cup Final of the 30s, a battle which England won 3-2. Walter Winterbottom's side consisted of many global superstars like Stan Mortensen, Tom Finney and Billy Wright, all of which played in the Football League - the contemporary leading example in all things to do with the beautiful game. 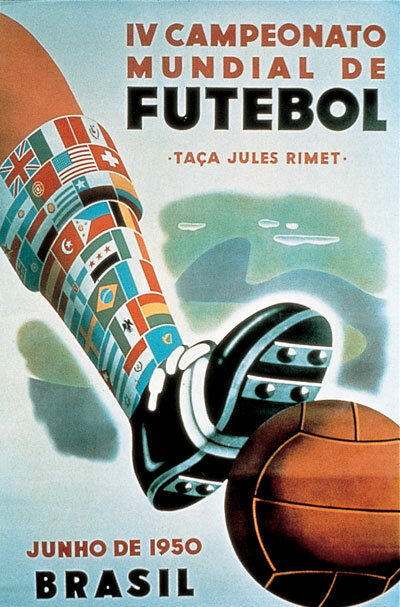 The World Cup in 1950 was to be held in Brazil, a nation which had attended every tournament previous. Alongside England, the US and the hosts were teams from South America, Asia and of course Europe. The competition was originally to cater for 16 teams, however four of the teams withdrew before a ball was kicked - India, Turkey, France and Scotland. The Scottish National Team had, before the tournament, stated that only victory in the United Kingdom's Home Championships would be enough to see them qualify, despite FIFA allowing two British representatives. The decision was made by SFA chairman George Graham much to the dislike of the Scottish team members like captain George Young. Like Scotland, Turkey had also withdrawn from the tournament before competition had begun, mainly due to economic difficulties brought upon by the financial demands of competing. However unlike the Turkish and Scots, India only ceded their place at the World Cup close to the start due to monetary issues of their own. Despite this being the official reason given by the Indian FA, it has also become apparent that the lack of the sub-continent in Brazil was down to a 1948 FIFA ruling against the Indians playing matches barefoot. Further notable absentees can be found with Germany and Japan, both still widely disliked following the Second World War and not yet being permitted as members of football's governing body. The group stage of the 1950 World Cup was one of many surprises. Of course the Miracle Match between the two nations this article is centered around being the major upset of the tournament. However, firstly it is interesting to see the shocks elsewhere. The Italian National Team went into the draw as double defending champions and boasting a record of won eight, lost none. Their first group game was against fellow Europeans Sweden, a nation with a surprisingly rich footballing history. Sweden had entered the two previous tournaments, coming fourth in 1938, before winning the 1948 Olympics. Despite the Swedes fielding a team of amateurs against the Italians (the Swedish FA had banned the use of professionals) they ran out winners 3-2 much to many peoples surprise. The stage was set for an England whitewash of their American counterparts in front of just over 10,000 people in south-east Brazil. The English entered the game on the back of a Stan Mortensen inspired 2-0 victory over Chile, whereas the US had been dismantled 3-1 by three late Spanish strikes, the latest of which scored by Bilbao and La Liga legend Telmo Zarra. Walter Winterbottom's side had lined-up with a more or less full strength team, only missing Stanley Matthews, who although available had not played in England's three previous games and was being saved for future ties. The United States on the other hand entered the stadium with as aforementioned a team of predominately part-time footballers with some members from as far as Haiti and not technically US citizens. The early moments of the match were dominated by, as expected, England. American goalkeeper Frank Borghi had faced six shots after just twelve minutes - two of which had hit the woodwork. Borghi continued to make numerous world-class saves for the rest of the first half until the 37th minute where the impossible happened. Despite only registering one previous shot on goal, a long ranged effort from US midfielder Walter Bahr was deflected into the back of the net by a diving header from forward Joe Gaetjens to send the crowd into raptures. England were rightly stunned and their performance dipped well into the second half before beginning to show signs of recovery on the hour mark. The rest of the game was a battle between the English forwards and Frank Borghi - Mortensen, Tom Finney and Wolves forward Jimmy Mullen all having attempt at goal, Mullen's appearing to some to have crossed the line, only for any protests to be waved away by the Italian official Generoso Datillo. There would be no repeat of the Spanish match for the USA as England couldn't muster a late goal, let alone three. England were defeated and America had pulled off the greatest shock of any World Cup before 1950. The match in Belo Horizonte marks a surprise for players and fans alike. The biggest shock however lies within the US media, where only one journalist from the entire nation had gone to the World Cup. Dent McSkimming's report appearing as the only contemporary article about the match in America. The British media also unusually wrote little on the encounter, mainly due to the English Cricket Team's defeat to the West Indies and the minor importance of sport in UK newspapers. Following the game the rest of the tournament would prove fruitless for England. the team, captained by Billy Wright losing its final group game to Spain 1-0 and prompting a realisation that maybe England were not the "Kings of Football" they thought they were, a notion ruthlessly demonstrated by Hungary's Magical Magyars in 1953 and mirroring the plight of Britain on the wider global stage. The Americans were defeated 5-2 in their final game by Chile, but left the tournament with their heads held high, however football in North America would not continue to develop as further qualification for the World Cup would not happen again for another forty years until Italia '90. 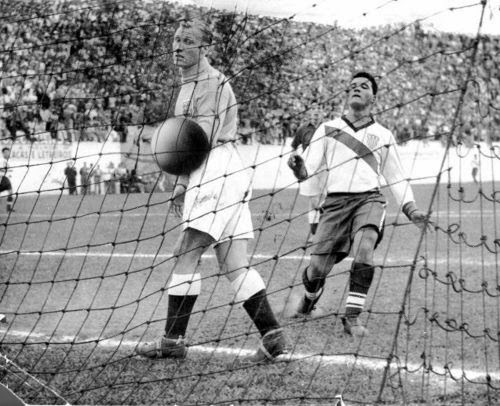 The 1950 World Cup was to be won by Uruguay in front of a record (still to this day) 199,854 people in Rio de Janiero's Marcana stadium, much to the delight of the Uruguayans and to the despair of hosts (and favourites) Brazil. However, despite journalistic naivety in 1950, the game has since gone on to be regarded as arguably the greatest shock in international footballing history. Of course many matches come close, The Miracle of Bern Greece's Euro 2004 and even the 1950 final to name a few, but as the BBC stated in 2010, "It is still the sporting surprise against which all other sporting surprises should be measured." People still write about the Miracle on Grass today (so named in response to the 1980 Winter Olympics "Miracle on Ice"), as just four days ago the Telegraph provided an article on the fall from grace of England at the tournament, labeling the defeat as "catastrophic" and "beleaguered". In American popular culture the game has even been dramatized into a movie starring Scotsman Gerard Butler. 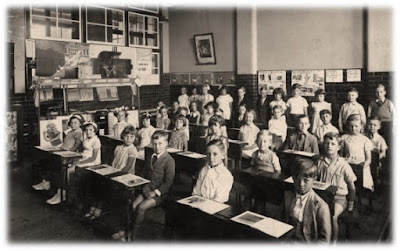 However, I, for one see the early 1950 exit as something of a blessing in disguise for England as without defeat in Brazil and later by Hungary, it is unlikely English football would have looked to re-imagine, rethink and reorganize the game. If it was not for defeat in 1950 would we have seen victory in 1966? I think not!